If you've wondered about refinancing your home, this is definitely the moment to look into it. If you're like many other American homeowners, locking in a lower interest rate right now could save you thousands. The housing market is recovering and mortgage rates are still in the basement. But interest rates won't stay that way forever and already are creeping up from historic lows. "Mortgage rates dropped sharply at the end of 2014, breathing new life into the refinance market," Leonard Kiefer, deputy chief economist at Freddie Mac, said in a recent analysis. Refinances made up about 52 percent of single-family home loan originations in 2014. "Borrowers who refinanced in 2014 will save on net approximately $5 billion in interest over the first 12 months of their new loans," he reported. For the first time since 2009, the median appreciation of a refinanced property in 2014 turned positive, meaning that over half of all borrowers who refinanced saw their home equity increase since taking out their original loan, Kiefer said. For those refinancing in the fourth quarter of 2014, the average interest rate reduction was about 1.3 percentage points. On a $200,000 loan, that translates into mortgage interest savings on average of about $2,500 during the next 12 months, Kiefer said. In February 2015, according to Freddie Mac, the average interest rate on a 30-year fixed mortgage was 3.71 percent, up from 3.61 percent a month earlier. The February rate still was considerably lower than it was six years earlier, in February 2009, when mortgages averaged 5.13 percent. Six years is the average age of a loan refinanced, Freddie Mac says. The monthly payment on what was a typical $165,000 mortgage in 2009 would have been $899, according to an HSH.com refinance loan calculator. If you refinance now for the remaining balance of $148,460 for 24 years (the rest of the original loan's term), the 1.52-percentage-point difference in the rate would mean a new monthly payment of $779, or a savings of $120 a month, if there were no costs associated with the loan. Adding typical loan refinancing costs of about $2,970 would make the payment $795, still a monthly savings of $104, or nearly $30,000, over the life of the new loan. About one in three homeowners refinancing in 2014 took out shorter-term loans, allowing them to pay down principal and build home equity faster than on their previous loans, Kiefer noted. That tactic should save you money in the long term, but your monthly payment could go up. 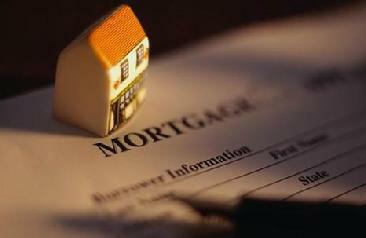 The average rate on a 15-year fixed mortgage in February was 3.01 percent, Freddie Mac reported. With no closing costs, refinancing the $148,460 balance on your 2009 loan would boost your monthly payment to $1,026, or $127 more a month than the original $899 payment. But over the next 15 years, you would pay a total of $184,680, or $74,232 less than the $258,912 total you'd pay for the next 24 years if you never refinanced. The 15-year loan refinancing still would be $39,672 less than the $224,352 total you'd pay if you refinanced the balance for 24 years at $779 monthly. Either way, your house would be paid off nine years sooner, and the money you spend on mortgage payments could be redirected toward investing, kids' college bills or even a vacation. The key is paying less interest through shorter terms or lower rates. "There are two ingredients to the best possible mortgage rate: having stellar credit and shopping hard," according to the Money Talks News Mortgage Solutions Center. Time may run out soon to make a great money-saving deal on your mortgage refinancing. Federal Reserve Chair Janet Yellen said on March 27 that an increase in the central bank's key federal funds rate could come later this year. The Fed has maintained a near-zero federal funds rate - the amount banks charge each other for overnight loans - for more than six years to help the United States economy recover from the Great Recession. An increase "will influence the borrowing costs faced by households and businesses, including the rates on corporate bonds, auto loans, and home mortgages," Yellen said. Fed Vice Chairman Stanley Fischer, speaking to the Economic Club of New York on March 23, said, "it is widely expected that the rate will lift off before the end of this year, as the normalization of monetary policy gets underway." Even though Yellen and Fischer didn't say when rates would rise, borrowers anticipating a rate hike are rushing to lock in lower interest rates now. According to the Mortgage Bankers Association's weekly survey for the week ending March 20, the Refinance Index increased 12 percent from the previous week. Although Freddie Mac expects the refinance share to be about 40 percent in 2015, the MBA says refinancing has been running around 60 percent of total applications. If you're underwater on your mortgage, look at the Home Affordable Refinance Program, a federal refinance program, advises partner website hsh.com. Like this article? Sign up for our newsletter and we'll send you a regular digest of our newest stories, full of money saving tips and advice, free! We'll also email you a PDF of Stacy Johnson's "205 Ways to Save Money" as soon as you've subscribed. It's full of great tips that'll help you save a ton of extra cash.